fighting the hydra. fighting the hydra. 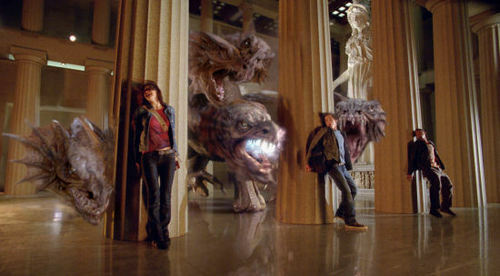 Wallpaper and background images in the Percy Jackson & The Olympians boeken club tagged: percy grover annabeth hydra. This Percy Jackson & The Olympians boeken photo might contain abattoir, butchery, shambles, slaughterhouse, straat, stad scène, stedelijke omgeving, stad straatbeeld, and stedelijke instellen. Okay so now what are they gonna do after they used the hydra in the first movie and are making the second one.... Like 3 years later... the actors are going to be 20 something!! !